Für Hinweise zu interessanten Links bin ich dankbar ! auf beiden Seiten können Sie die kostenlosen Monatsberichte bestellen (oder online lesen). 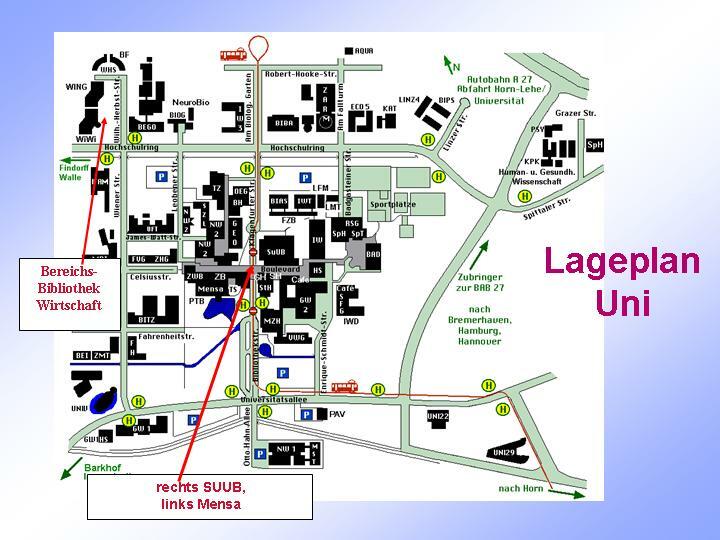 Bibliotheken: Staats- und Universitätsbibliothek, besonders empfehlenwert die Bereichsbibliothek Wirtschaft der Uni (siehe auch Lageplan); auch interessant die Stadtbücherei. Infos: Mix, Bremer und Co.
- See the tips on the web page of the "Fremdsprachenzentrum", especially "Internet Quellen", "Medien", and "Englisch in Bremen"
Various articles Business English in the 'Wirtschaftswoche', the author points out characteristics, pitfalls, idioms of (business) English ... - fun to read. Which economic ideas are the most powerful, and which are the most frequently misunderstood? On a hill overlooking the shores of Lake Champlain, at the foot of the Green Mountains, the University of Vermont combines faculty-student relationships most commonly found in a small liberal arts college with the resources of a major research university. Cowen, T.: Creative Destruction: How Globalization Is Changing the World's Cultures. Dismally, as it relates to the markets. Mr. Galbraith, an iconoclastic economist, teacher and diplomat, was one of the most widely read authors in the history of economics. The Ludwig von Mises Institute is the research and educational center of classical liberalism and the Austrian School of economics. Working in the intellectual tradition of Ludwig von Mises (1881-1973) and Murray N. Rothbard (1926-1995), with a vast array of publications, programs, and fellowships, the Mises Institute seeks a radical shift in the intellectual climate. Last week I wrote that the shortage of Xbox 360 consoles seemed inexplicable, at least to me and my fellow economists. I invited readers to provide better explanations, and you did. There are now 35,000 registered lobbying groups in Washington, and they spend more than $2 billion every year trying to influence what Congress does. Only an economist, then, would ask why there is so little money in politics. with many useful tips, among other things: "How can I improve my English outside class?" (with tips for going out: English Club ... and more). Various articles Business English in the 'Wirtschaftswoche', the author points out characteristics, pitfalls, idio-ms of (business) English ... - fun to read. Economics: 2 videos (Microeconomics, Macroeconomics) from "the Standard Deviants"